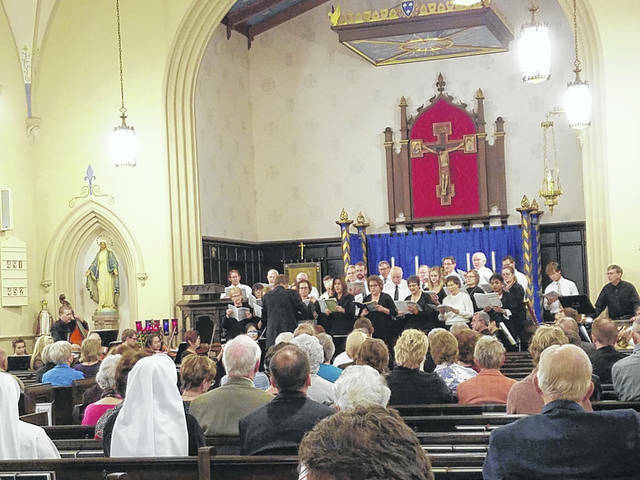 The Concerts in a Country Church series held the first performance over the weekend with over 100 people in attendance at St. Colman Church. The second program, “Playing with the Big Boys, part 2” will be held on Sunday, April 28, 2019 at 3 p.m.
https://www.recordherald.com/wp-content/uploads/sites/27/2018/10/web1_20181014_160416-0-.jpgThe Concerts in a Country Church series held the first performance over the weekend with over 100 people in attendance at St. Colman Church. The second program, “Playing with the Big Boys, part 2” will be held on Sunday, April 28, 2019 at 3 p.m.